A diagnosis of Cancer can be a psychologically challenging event but often one of the most difficult issues to address is the fear of Chemotherapy Induced hair loss. The hair loss due to chemotherapy can be an unrelenting reminder of your battle with cancer. The role of high-quality medical wig takes on critical importance in easing the fear of losing your hair. 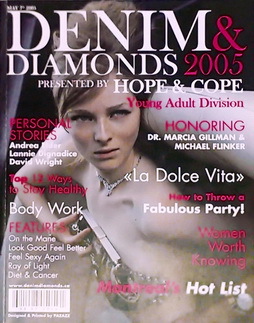 The Hair Clinic understands the importance of your hair and your appearance. A high-quality wig for chemotherapy, at an affordable price, can help make the burden of a diagnosis of cancer, a little easier to bear. “Getting your hair back”, with the help of a very natural cancer wig, will afford you the luxury to forget about cancer, at least for a little while. The Hair Clinic carries a complete line of specialized Medical wigs for cancer, called Second Scalp Oncologic Image Enhancers. Second Scalp prosthetic chemo wigs are specially designed for hair loss caused by chemotherapy, and help enhance body image and aesthetic appeal during the difficult treatment period. The Hair Clinic’s Second Scalp chemotherapy wigs are made of soft stretchable materials for utmost comfort and a perfect fit, avoiding the pressure and irritation caused by ordinary cheap wigs. While undergoing difficult medical treatments, it is comforting to have a calm and cheerful place like The Hair Clinic where you can receive expert assistance in choosing the medical hair replacement chemo wig that is perfect for you. The Hair Clinic offer you the latest wig styles and colors in either synthetic or human hair. Our specialty chemotherapy wigs allow you to look your best during and after your treatment. The Hair Clinic carries in stock cancer hair loss wigs in styles for every age and every style. We also offer you the option of custom made wigs for medical hair loss due to cancer. The Wig Center at The Hair Clinic features a private cancer wig showroom with a wide selection of over 1000 top quality wigs for cancer chemotherapy. If you have been diagnosed with cancer, and you’re looking for the best wig shop for advice on purchasing a wig for hair loss due to cancer chemotherapy, look no further. 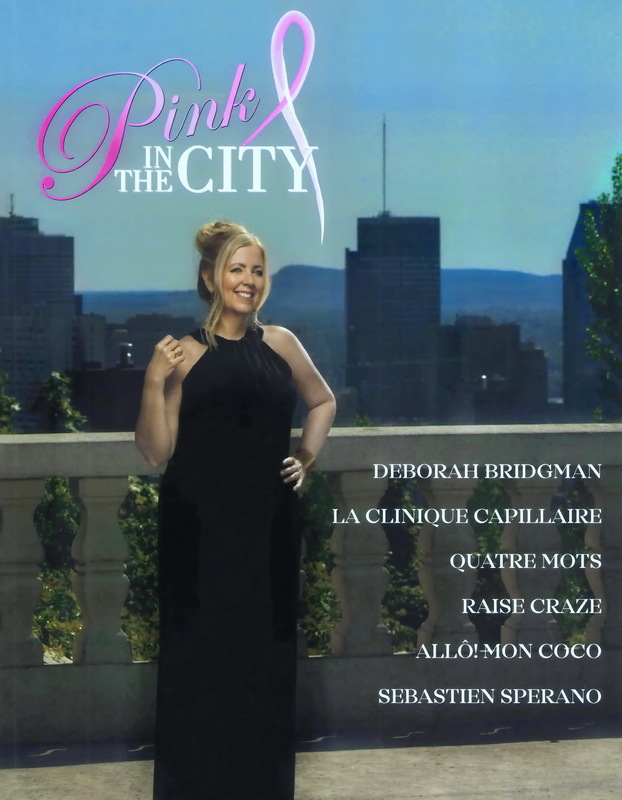 Visit The Hair Clinic on Crescent Street in downtown Montreal for the largest selection of quality wigs for hair loss due to cancer. The Hair Clinic Wig Shop has the most natural selection of specialized cancer chemo wigs, allowing you to focus on your health issues, rather than worry about your hair. The Hair Clinic Wig Center specializes in ultra natural and extremely lightweight wigs for Cancer Chemotherapy. Imagine a cancer wig so soft & comfortable to wear, and with such a natural & undetectable hairline that many clients are relieved to find many of their friends & relatives are telling them : “I’m so glad you haven’t lost your hair”. While undergoing chemotherapy treatments, it is comforting to have a calm and peaceful wig center like The Hair Clinic where you can get professional assistance in choosing the chemo wig that is best for you. The Hair Clinic Montreal offers you the latest cancer chemotherapy wig styles and colors in both synthetic or human hair. Our medical grade chemotherapy wigs allow you to look your best during your treatments. Our specialty Medical Hair Replacement Center carries in stock a large variety of high-quality chemo wigs for cancer in fashion styles for any age or style. 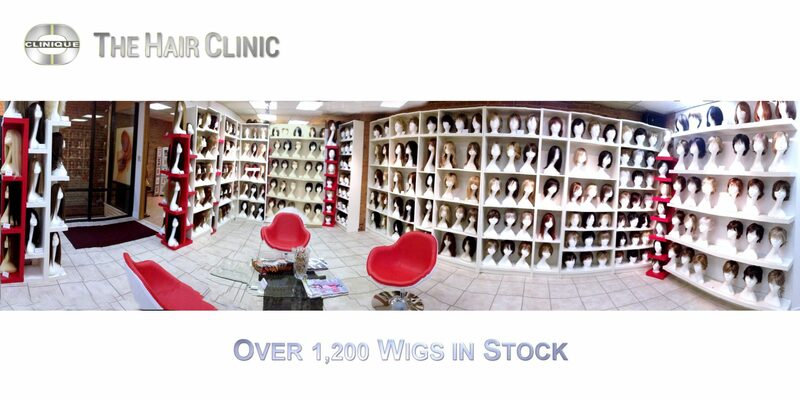 The cancer wig store at The Hair Clinic features a private cancer chemotherapy wig showroom with a wide selection of over 1000 top quality cancer chemotherapy wigs for hair loss due to cancer chemotherapy. With nearly 20 years’ experience offering chemotherapy wigs for cancer patients, our caring oncology support staff is pleased to assist you in your search for quality cancer chemotherapy hair replacement. For the best cancer wig service, The Hair Clinic offers you 5 beautiful private medical wig fitting rooms in a tranquil, peaceful setting where you can feel free to try on wig after wig in varied hairstyles and a multitude of colors. The Hair Clinic’s Cancer chemotherapy Wig Center showroom is always manned by our qualified oncology associates who will address any concerns you may have, and answer your questions. With over 20 years’ experience in offering cancer wigs for chemotherapy, our caring team is pleased to assist you in your search for quality cancer wigs for hair loss due to chemo. To give you the best service, The Hair Clinic offers you 5 private wig fitting rooms in a tranquil setting where you can try on medical cancer wigs in a variety of hairstyles and colors. The Hair Clinic’s Cancer Wig Center showroom is always manned by our qualified oncology associates who will address your concerns and answer any questions you may have, with respect and understanding. 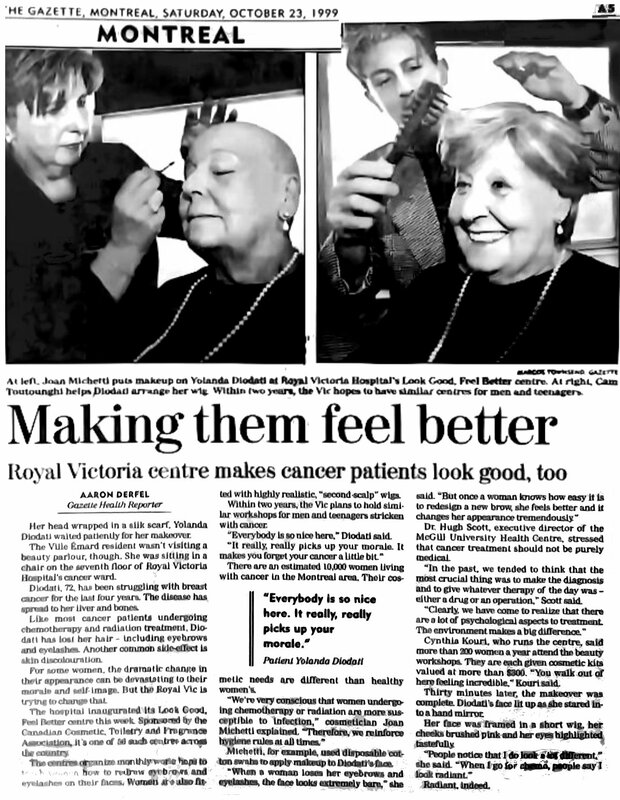 Call one of our caring Oncology Associates at The Hair Clinic at 514.848.6185 for a free, no obligation consultation. The Hair Clinic and it’s caring oncology wig associates look forward to the pleasure of serving you! At The Hair Clinic, we make you look good so you can feel better about yourself and let the chemotherapy help your body heal itself so you can WIN the battle against cancer! Hot hair is so cool, but so’s a $50 Discount Coupon on hand made Cancer wigs at The Medical Wig Center of The Hair Clinic on Crescent Street.